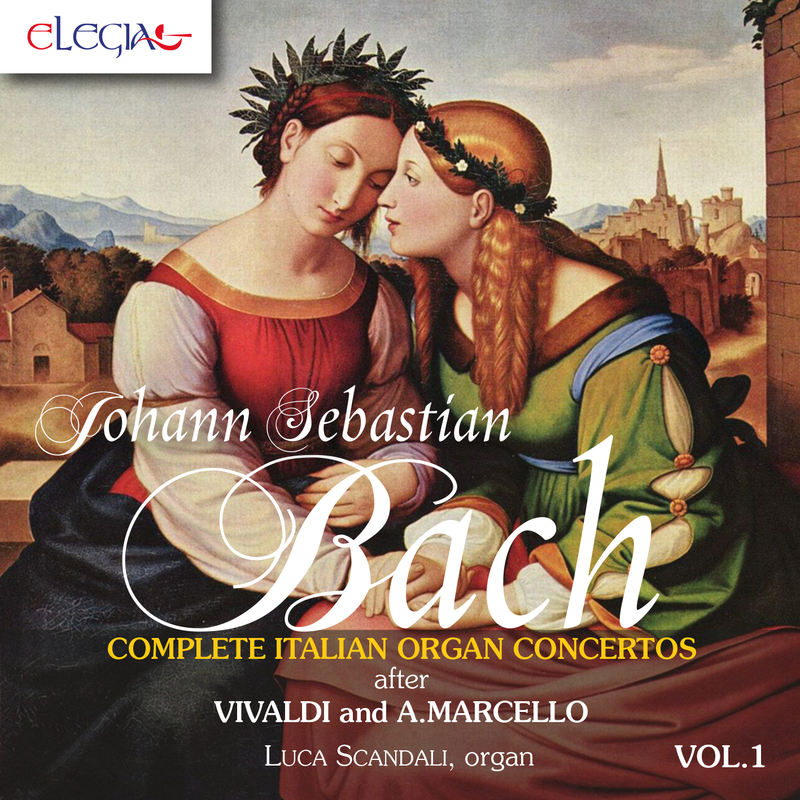 During his youth, Johann Sebastian Bach studied with passion the great Italian composers’ works, that were at that time style models both for their perfection about their harmonic architecture both for the brilliant vitality about their melodic vein. In order to capture the secrets of the Italian style, the young composer realized a series of transcriptions for organ from orchestra pieces, in which it is possible to see the future genius. The programme of this CD includes five works based on famous concerts by Vivaldi (four from Estro Armonico op. 3 and one from Stravaganza op. 4) and a transcription from a piece by Alessandro Marcello, who is today almost forgotten but very appreciated at Bach’s time, as his younger brother Benedetto. Those works were proposed thanks to the great performance by Luca Scandali, organ player of magnificent talent, who for Elegia has already recorded many CDs of great interest, among which stand out the two volumes of the symphonies by Padre Davide da Bergamo. A Cd that deserves to be considered even for Dell’Orto & Lanzini’s beautiful sounding palette inside the church of Santa Maria Assunta in Vigliano Biellese and for the excellent quality of the recording.